Training Young Leaders at Students United! 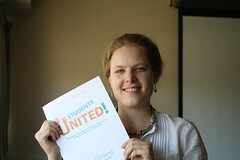 Today I trained a great group of young leaders from the public higher education system in Massachusetts.Â The training was part of Students United!, a conference that brought these students together to learn about activism and increase their own power in defending higher education funding in their state. I lead four 30-minute sessions which began with the group creating their own definition of digital activism, a strategy presentation by me, and a group activity where students decided how to apply social media tools. The slides from my presentation are below. 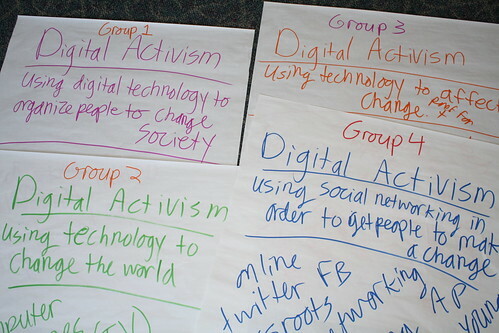 Sessions began with each group creating their own definition of digital activism. Participants during the small group exercise.